Use these natural crystal spheres to enhance your connection to the Divine, or for 'scrying', an ancient technique to illuminate your Native Intelligence, or intuition. Or simply use them to add beauty and grace to your home or altar. 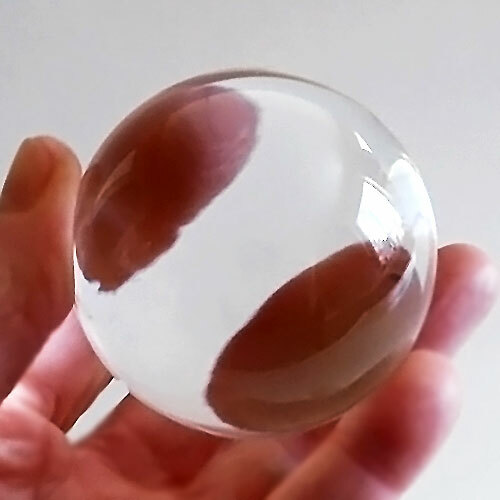 Check here often to see what kinds of crystal spheres we have in stock. If there is something you are looking for, please don't hesitate to call us at 561-910-1871 or email us. We carry clear quartz spheres, amethyst and/or ametrine spheres & selenite spheres from Morocco and much more!